LIKE NEW HOME READY FOR YOU! 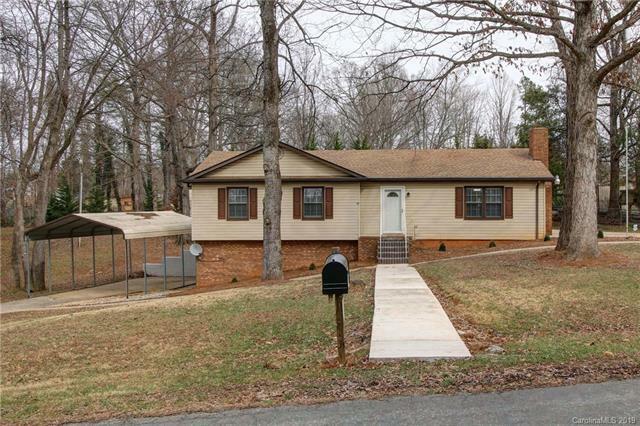 Located in popular East Iredell you'll find home in MOVE-IN condition. Extra feature is open Unfinished Basement w/lots of uses or Buyer finish for added living space.Enter foyer to spacious living rm w/gas log FP (logs worked in past;No propane connected now).Adjoining living rm is dining area open to updated kitchen (ALL Appliances Included). Look at big family room!You can see directly from kitchen sink into family room (opening was cut out) so you are included in family activities. New laminate flooring in most of home,new neutral interior paint,new kitchen countertops&cabinets(has lazy susan),new light fixtures & new carpeting in bedrooms.Plus Leaf Guards on gutters. 3 good-sized bedrms;master has private updated Full Bath(tub/shower combo).Roof 2012 & Heat Pump about 8 yrs old. Parking on upper side of home + 2nd lower driveway(covered free-standing carport accommodates RV or other large vehicles).12x18 storage shed(has electricity).Spacious yard too!